Aysha Akhtar, MD, MPH, M.D., M.P.H. We cannot take comfort in the fact that most of the animals used are mice and rats. Besides being able to suffer to the same extent as other mammals, mice and rats, even those who are genetically modified, are also extremely poor models of human anatomy and physiology. If we truly want to protect human health and find cures for diseases, we need to put our funding into much more effective human-based tests, such as humans-on-a-chip. I've written previously [Who Are the Animals in Animal Experiments?] 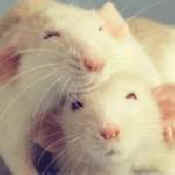 about the fact that because of the lobbying efforts of the animal experimentation industry, at least 95 percent of all animals in U.S. laboratories -- mainly mice and rats -- are not considered "animals" under federal law. These animals are excluded from the minimal protections of the law, and are not even counted in federal reports. Policymakers, scientists and the public really have no idea how many animals there actually are in laboratories. Thus, discussions about the extent of this massive scientific and ethical problem -- and what needs to be done about it -- have been limited by this lack of data. However, an important new study published in the Journal of Medical Ethics fills this void by reporting data on the use of all animals -- mice and rats included -- at some of the most prestigious facilities in the country. The results are alarming, and have received widespread media coverage, ranging from Buzzfeed to Yahoo Health to NBC News. I spoke with the study's lead author, Justin Goodman, who is the director of laboratory investigations at People for the Ethical Treatment of Animals (PETA) and an adjunct professor of sociology at Marymount University. Aysha: Why don't we already know how many animals are in U.S. laboratories? Justin: Irrationally and unscientifically, mice, rats, birds, cold-blooded animals and animals used in agricultural experiments -- who make up an estimated 95 percent of all animals in laboratories -- are excluded from coverage under the federal Animal Welfare Act (AWA), the only law that governs the treatment of animals in laboratories. So, these species -- even though they feel pain and suffer just like cats, rabbits, dogs and monkeys -- aren't counted by the government, don't receive even minimal protections and don't show up in federal reports of animal use. Aysha: How did you count animals if they're not included in government reports? Justin: Using state and federal open-records laws, we gathered documents submitted by federally funded institutions to the National Institutes of Health (NIH) that include a little-known report of the average number of all animals in each laboratory on a given day, by species -- including mice, rats and other species excluded from the AWA. Shockingly, these extremely useful data are not compiled, analyzed or published by the government, and few people even know that they exist. For our study, we focused on the top 25 largest recipients of NIH grants, which include Harvard, Yale, Johns Hopkins and the University of California-San Francisco. Aysha: What did your study find? Justin: We found that during the 15-year period from 1997 to 2012, the use of animals in these top-tier laboratories rose by a staggering 73 percent. That translates into a jump from 1.5 million to 2.7 million animals in laboratories at just these 25 leading facilities, and there are about 1,000 additional facilities that receive federal funding for experiments on animals. While the use of most species stayed constant or declined slightly, the alarming spike was driven primarily by increases in the use of mice. This is likely because of the spread of genetic-modification experiments, for which millions of mice are bred to carry genes that predispose them to painful, crippling diseases and other ailments, even though they have proved to be inefficient and ineffective. We also found that 99 percent of animals in these laboratories were species not protected by the AWA. This figure is even more disturbing than the already astronomical 95 percent estimate that is usually cited. Aysha: What do you think are some of the implications of these findings? Justin: This study is the first to provide real data on the number of animals confined, burned, shocked, poisoned, crippled, infected and otherwise experimented on in U.S. laboratories. Our finding that there has been a major increase in animal use at major facilities contradicts claims by the vivisection industry that the use of animals in U.S. laboratories has declined and calls into question the effectiveness of government policies aimed at minimizing animal use in experiments. The fact that animal use has exploded like this is particularly troubling in light of the overwhelming evidence that the results of animal experiments cannot be extrapolated to humans, the existence and availability of superior non-animal research technology, and the fact that according to a recent Pew poll, a growing majority of the public opposes experiments on animals. Aysha: What do you hope the study achieves? Justin: As a first step, we would like to see greater transparency and accountability surrounding the use of animals in taxpayer-funded experiments. We have written to NIH asking that it build on our study and begin analyzing and publishing the data that it quietly collects on animal use from the more than 1,000 facilities it funds, so that stakeholders will be able to have informed discussions about the scope of the problem and identify opportunities for improvement. Any pledge on the part of the government to minimize animal use is meaningless if it doesn't even know how many animals are locked inside laboratories in the first place. Aysha: Thanks, Justin. It's truly troubling to think that in this day and age, the number of animals used in these inherently flawed experiments may be increasing, while at the same time, we are told just the opposite by our government and the animal experimentation industry. We cannot take comfort in the fact that most of the animals used are mice and rats. Besides being able to suffer to the same extent as other mammals, mice and rats, even those who are genetically modified, are also extremely poor models of human anatomy and physiology. If we truly want to protect human health and find cures for diseases, we need to put our funding into much more effective human-based tests, such as humans-on-a-chip. I think it's fair to say that at the very least, we need much greater transparency. Our tax dollars pay for these animal experiments, and taxpayers deserve to know the truth.